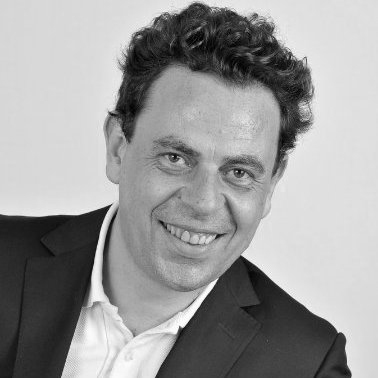 Frédéric is an international Entrepreneur, founder of 4 companies, all in activity today, in Asia, Eastern Europe & UK operating in Global Trade, Software & Human Resources area. The last venture of Frederic was Mr. Ted Ltd, where he was COO in charge of Technology & Operations. Pierre-François brings 15 years experience in Procurement and business development of innovative solutions for Procurement organizations. 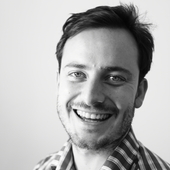 He was previously CEO of B2Build SA the 1st B2B marketplace for the European construction industry. Prior to joining EcoVadis, he was a director of Ariba Procurement BPO business. He’s a frequent lecturer on Sustainable Procurement and the author of multiple studies in this area. 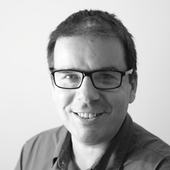 Pierre-François is an electrical engineer by trade, holding a Master of Science from Supelec and a MBA from Insead. Sylvain brings to EcoVadis 12 years’ CSR experience along with eight years in sustainable procurement, mostly at KPMG working with multinationals in the U.S. and Asia. 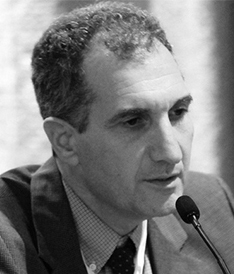 In 2003, Sylvain joined Vigeo, a leading European social rating agency, as head of research operations. He holds an engineering degree from UTC, an M.S. in Industrial Management from Cranfield University and an MBA from INSEAD. Wim has over 20 years’ experience in various finance and international business development roles at large multinational organizations, including Air Products and Oracle. He helped launch Ariba in the Benelux countries, France and Spain and then took on the role of regional director for Northern Europe, EEMEA and Asia Pacific. Wim holds an M.S. in International Politics and Economics from HU Brussels and an MBA from the Catholic University of Leuven. 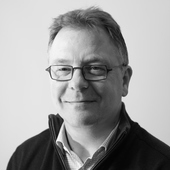 Having worked for various ventures in the U.K. and France in sales and business management roles, Richard joined EcoVadis almost from the outset. He set up the backbone of support and the onboarding process for companies under assessment. With more than 25,000 suppliers that Richard brought on board, his mission is simple: He wants to continue to grow the EcoVadis community and create ongoing value for companies that are assessed and monitored on their sustainability performance. 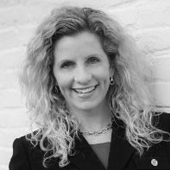 Valerie has more than 20 years’ international experience in sales development and management across sectors such IT — specifically equipment, services, financing and consulting; executive search and more recently sustainable development. She holds an M.S. in Management from Toulouse Business School. 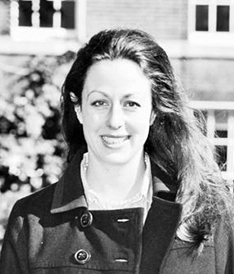 Valerie is passionate about people and innovation which helps improve people’s lives. Hamza had served as technical leader for an international CTI solution integrator before he joined EcoVadis in 2008. Since then, he has held a range of IT positions, including technical leader, project manager and team manager. Hamza is behind the success of the EcoVadis IT team, having been its key architect. 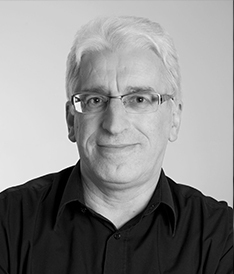 He’s also been the main contributor to the design and development of the EcoVadis IT platform. Production Manager of EcoVadis (Mauritius) Ltd since May 2011. Prior to joining EcoVadis, Sameer worked as Senior Quality Executive and Team Leader at Thomson Reuters (ex Asset IV Ltd) for more than 5 years. Sameer holds a Master Degree in Business Administration and Management (Maîtrise en Economie et Gestion de L’entreprise) from the Pôle Européen de Gestion et d’Economie based in Strasbourg, France. 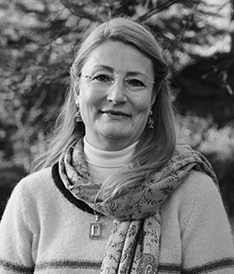 Professor Luk Van Wassenhove has a unique combination of CSR and sustainable procurement expertise. His research and teaching are concerned with operational excellence, sustainable procurement, quality, continual improvement and learning. He is Henry Ford Chaired Professor of Manufacturing and the Academic Director of the INSEAD Social Innovation Centre. Professor Van Wassenhove’s recent research focus is on closed-loop supply chains (product take-back and end-of-life issues) and disaster management (humanitarian logistics). Farid Yaker is in charge of sustainable public procurement at the Economy Division of UN Environment in Paris, where he’s worked since 2008. He is also coordinator of the 10YFP Public Procurement Programme and oversees the execution of two ground projects aimed at assisting 16 countries in the implementation of sustainable public procurement. Mr. Yaker taught Agricultural economics at the University of Blida, Algeria from 1988 to 1990 and joined ENDA – Environment and Development Action, an international NGO, following the agency’s Rio summit he had attended in 1992. He managed there an international program on the promotion of participatory approaches in urban environment from 1994 to 1999 and then moved to ENDA’s European office, where he worked until 2007. Mr. Yaker holds an M.S. in Agricultural Economics from the University of California. Andrew Winston is a globally recognized expert on how companies can navigate and profit from humanity’s biggest challenges. His views on strategy have been sought after by many of the world’s leading companies, including HP, J&J, Kimberly-Clark, PepsiCo, PwC and Unilever. Mr. Winston’s latest book, “The Big Pivot,” was selected as one of the “Best Business Books” by Strategy+Business Magazine. 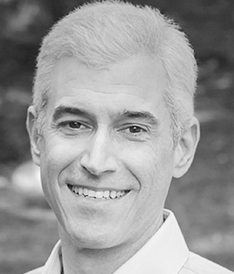 His first book “Green to Gold,” was the top-selling green business title of the last decade. Through his writing, consulting and speeches, including a TED talk, Mr. Winston provides a practical and optimistic roadmap for building resilient, thriving companies and communities in a volatile world. A chemist by training, Mr. Schulte spent a large part of his career at Unilever, where he held a number of different roles from product developer, production manager, plant manager, general manager Sustainable Procurement, European Category supply director to vice president of Global Supply Management. He led up to 1500 employees introducing a unified global procurement function. During his time at Unilever he had postings in Germany, the U.K., Brazil and Switzerland. For two years, he managed the INSEAD Social Innovation Centre as executive director. 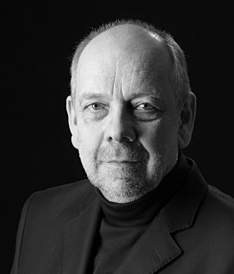 Currently, he is mainly focused on sustainability and strategy as CEO and owner of Prosolvo GmbH and as director of the Conference Board Councils for CSR/sustainability, procurement leadership and responsible sourcing in Europe. 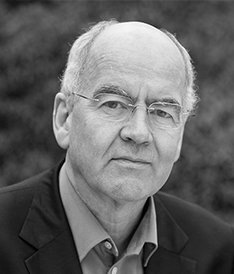 John Elkington is a writer, thinker, an entrepreneur and “advisor from the future.” He is co-founder and executive chairman of Volans, a change agency which aims to introduce leaders to “Breakthrough;” in other words, to encourage them to look beyond incremental change toward systemic challenges. Mr. Elkington is leading a two-year program in partnership with the United Nations Global Compact focusing on the market opportunities around exponential sustainability, titled Project Breakthrough. He is also honorary chairman of SustainAbility and sits on an A-Z of some 30 boards and advisory boards. He has written 19 books and his latest is co-authored with Jochen Zeitz, former CEO of PUMA and now co-chair, with Sir Richard Branson, of The B Team. The book, entitled “The Breakthrough Challenge: 10 Ways to Connect Today’s Profits with Tomorrow’s Bottom Line” comes full circle from Mr. Elkington’s 1997 “Cannibals with Forks”, where he first introduced the Triple Bottom Line concept. In 2015, Mr. Elkington published “The Stretch Agenda,” a dramatization spotlighting top team dynamics and conversations in the fictional boardroom of a major global company, and their exploration of the opportunity spaces in the coming decade. Ms. de Larderel has promoted the environment for 30 years in government and international organizations. She is former assistant executive director and director at UN Environment’s Division of Technology, Industry and Economics, where she was involved in the Sustainable Consumption and Production Programme. A co-founder of the Global Reporting Initiative, she spent many years as its board member and now sits on a number of other boards and advisory committees. Ms. de Larderel has also held senior positions in the French Environment Ministry. She holds degrees in chemistry and pharmacology along with an MBA from INSEAD. 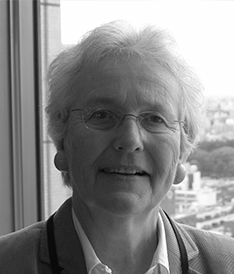 Ms. Hurst founded Impactt in 1997 with the mission of improving the performance of international sustainable procurement in bringing benefits to workers. 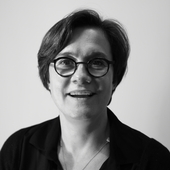 At Impactt she has used her experience of the developing world and the corporate and NGO sectors to innovate a wide range of tools, solutions and services to make a positive impact on workers in sustainable procurement. Ms. Hurst has led many innovations in ethical trade, founding Sedex and the Local Resources Network, pioneering and normalizing the use of participatory techniques in China, devizing and rolling out the Benefits for Business and Workers Programme in India, Bangladesh and Myanmar, working with Awaj Foundation on building workers’ negotiation capability, and using techniques derived from social psychology to re-humanize relations in the workplace. Dr. Monsou Tantawy is vice president of Oxfam in France, where she’s in charge of international relations and president of Unicef Paris. She previously worked as director with the World Business Council for Sustainable Development, vice president of Operational Efficiency for Unilever, following a career with Danone and Nabisco. Dr. Tantawy was EFQM lead assessor and chairman of the EFQM Executive Committee.